LAFAYETTE, Colo. - Saturday, July 29 represents the final day of qualification for the Aug. 12-13 USA Rugby Emirates Airline Club 7s National Championship, and the day the Midwest and Pacific North 7s Championships determine which three women's teams claim the final three spots at the championship event at Minneapolis' National Sports Center. A fourth berth to Nationals was expected to be in the balance this weekend, but that designation has already been awarded to the Glendale Merlins. 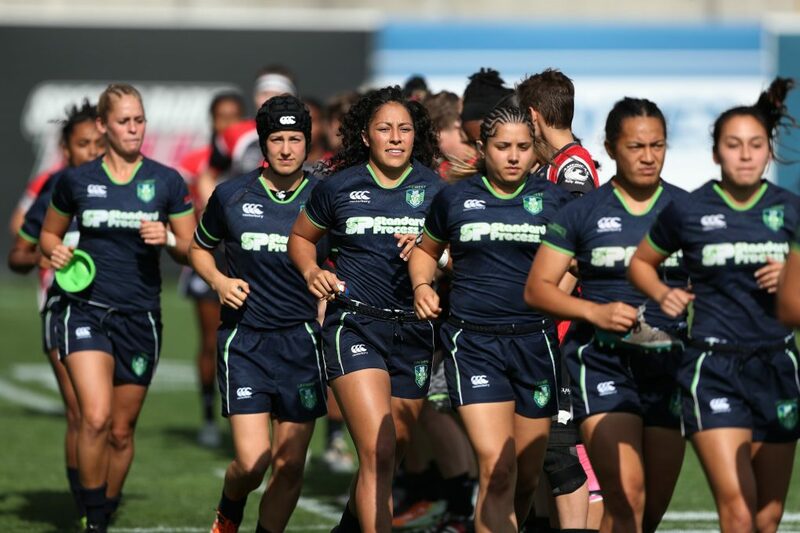 The Frontier Region, home to the Women's Premier League team formally known as the Raptors, has struggled to organize a formal sevens series to determine the region's Club 7s National Championship participants. Already plugged into Pool A at Nationals, Glendale will send two teams out to the pitch during its host tournament that will also include 2015 Division I 15s National Quarterfinalist Denver Black Ice, as well as a motley side consisting of mostly players from the University of Colorado Buffaloes. Two teams from the Midwest Region were originally slated to qualify for Nationals at the Midwest 7s Championship, but that number is down to just one after the Chicago Lions already managed to qualify via the region's 'Golden Ticket' law. First-place finishes at each of the three Midwest qualifiers earned the Lions their fourth Club 7s Championship appearance. Three different teams placed second behind the Lions during the Midwest qualifying series, and each should be considered serious contenders to claim the region's final spot to Nationals. The Chicago Griffins, who represented the Midwest at the 2016 Club 7s National Championship, produced solid results at Madtown 7s and Rock 'n' Roll 7s, but most recently finished a disappointing sixth place at the July 15 Legacy 7s. 1823 Rugby and Minneapolis Rugby have also produced second-place finishes this summer. Neither sevens select side has technically competed at a Club 7s National Championship, but Minneapolis has plenty of championship experience. The Youngbloodz, which have reached Nationals on five occasions, have re-branded themselves as Minneapolis Rugby 7s. The program has also added local product and Team USA Olympian Kathryn Johnson, whose playmaking ability and experience will be especially helpful with one of the program's standout players, Sylvia Braaten, preparing to head to Ireland with the Eagles for the Women's Rugby World Cup. Other Midwest teams in the running for a place in the 16-team women's bracket at Nationals are the Cincinnati Wolfhounds, Circle City Tempests, Grand Rapids Gazelles, Indianapolis Hoydens, and Legacy Academy. Five very capable sides will be battling for the Pacific North's two National Championship spots at this weekend's 41st annual Tacoma Aroma 7s Tournament, which will act as the region's championship event. Two teams from the Pacific Northwest - Atavus Rugby and Oregon Sports Union - and three from Northern California - the Berkeley All Blues, Life West Gladiatrix, and San Francisco Golden Gate - will play in a round robin that will see each team play four games to decide who will play in the Pacific North 7s Championship match. The two teams that accumulate the most points over the course of the round robin will punch tickets to Nationals, and Saturday afternoon's Final will determine seeds at the Club 7s Championship. All five teams that will be in Tacoma bring impressive résumés with them. The Seattle Saracens are not competing in sevens as a club this summer, but several players from the impressive Saracens setup have been running with Atavus this summer, including a few from the team's 2015 Club 7s National Championship squad that reached the Cup Final. Women's Premier League side ORSU has qualified for three of the previous four Club 7s National Championships, reaching at least the Cup Quarterfinals in each appearance. The team was not able to knock off Atavus at either of the two Pacific North qualifying events, but has still been playing up to its typically solid form. Additionally, eight players represented ORSU as part of a WPL All-Star team that played the Women's Eagles earlier this month in a tune-up match prior to the National Team departing for the Women's World Cup. One of the ORSU players that donned the WPL All-Star kit was Rachel Johnson, who was named to last year's Club 7s Dream Team, and should be a factor in this weekend's Pacific North 7s Championship. The All Blues are coming off of a less than stellar season in the WPL, but began the summer nicely by winning Carlsberg 7s. Berkeley has never missed out on qualifying for Club 7s and won National Championships in 2011 and 2013. Still, given the extremely competitive field in Tacoma this weekend, the All Blues will not be a shoe-in for a seventh appearance at Nationals. In order to make travel plans for Minneapolis, the squad could use a big impact from Eagles Sevens flyer Bulou Mataitoga. Life West missed out on the 2016 Club 7s National Championship, but after winning a Division I title in 15s this past June, the women from Hayward, Calif., will be disappointed not to earn one of two Pacific North berths to next month's championship event. The Gladiatrix appear to be improving as the summer has progressed. After finishing second at NorCal's first qualifier, Life West won SFGG 7s. After losing the Division II title match in 15s to the Milwaukee Scylla, Golden Gate is looking for a second chance at winning a National Championship in 2017. San Francisco has a talented roster, which includes forwards Sheridan Gho and Tyra Norlander, and has added UC Davis All-American center Sydnee Watanabe.